This week’s lyric day search landed me on Arcadia’s song, The Promise. As I looked over the lyrics, I realized that instead of analyzing just one line in relationship to myself or my life, I should look at the entire song. Hmm…as soon as I read those lyrics, I think about what I teach each and every day. As I’m sure that most of you reading this blog know, outside of my life as a Duranie, I teach high school. Specifically, I teach United States History from Reconstruction through World War II (1865-1945). To me, this song could be about teaching history, any country’s history as there are many moments of grief, anger as well as hope. Just yesterday, I taught my students about the Wounded Knee massacre that took place on December 29, 1890, in which about 250 members of the Lakota Sioux tribe were killed by the United States army. There is a great and famous quote by a member of that tribe stating the Wounded Knee was the end of a people’s dream (Native Americans). The lyrics definitely could fit that event. If you spend any time at all looking at human history, many tears can be shed as the history of humanity is filled with horrors, tragedies and loss. Of course, history also has moments of greatness, progress, hope. There are so many lines from this Arcadia song that captures the feeling well, including “Heaven’s eyes will never dry,” “in the fury of war,” “the hungry make their stand when they’ll stand for no more,” and so much more. The video, I think also, fits this theme, which you can see here. Hello Katy, I was wondering, who wrote the lyrics to the song, “The Promise” on the Arcadia album? Also, what was the inspiration for the songwriter? Thank you for your time! According to the Song Meanings website, there was another Ask Katy question about this song in which case Simon supposedly responded with, “The Promise is about all that’s worst and all that’s best about humanity.” My response to both of these quotes is fascination. If this is the case, Simon views history similarly to how I not only view it but teach it. This will make me listen to the song in a very different way now. Speaking of history, Arcadia came out in 1985 at the time that a lot of people, including many fans and members of the press thought of Duran as nothing more than pretty party boys. Some people saw them as superficial and only looking for a good time. The lyrics to this song, in particular, really calls into question that assumption. Clearly, Simon was not just about having fun. He did think about the world around him and even wrote about it. This makes the negative assumptions about the band even more infuriating to me. Obviously, a lot of critics and a lot of the public missed that Simon and the rest were a lot smarter and more aware than what they assumed. Last week, I introduced the idea of lyric day created by using shuffle to find a Duran related song then lyric to use as a blog starter. Basically, the idea is that I would press shuffle on what music device is closest to pick out a Duran related song. From there, I would search the lyrics to find a line that grabs me. Then, I would write a blog based on what thoughts popped into my mind from that lyric. This week, when I pressed shuffle the first Duran related song that came up was an Arcadia song, Election Day, to be specific. My first thought was to blog about the line, “She’s moody and grey. She’s mean and she’s restless.” After all, I might resemble that remark but it also seemed too predictable. Boring. I don’t want that. Thus, I chose the lyric, “Cause maybe we have more play time than money.” This line is one that always catches my attention when I listen to it. It reminds me of the differences between fandom as a kid and fandom as an adult. When I first became a Duranie, I was very young (8!). My fandom was simple then, in many ways. It involves listening to the records over and over again. Similarly, it included watching MTV as much as possible for any possible video viewing. Many Friday nights were spent in my family’s “toy room” on the fold out couch watching Friday Night Videos with my best friend. Fandom then meant simple consumption. It was about listening, watching and buying. What I was buying included the usual 1980s memorabilia. I bought a lot of magazines. I saved up money for thicker books like “The Book of Words” and “Sing Blue Silver”. Christmas and birthday lists featured random Duran related items like the Into the Arena board game or Duran Duran pajamas. My fan community was very super small. Basically, it was me and my best friend. We encouraged each other’s fandom by listening and watching together. Likewise, we shared purchases with each other and tried to find the cooler items. As kids, we had a lot more playtime than money and money is what we really wanted for our fandom. Now, as an adult, my fandom is expressed way differently than my kid fandom. I still like Duran merchandise, of course. 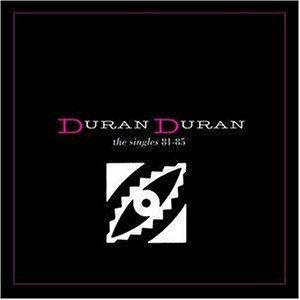 It is a good time and a good night if I’m able to spend it listening or watching Duran but that is rare. No, my fandom now has to do with writing, like this blog, for example. Traveling and going to shows is another significant part of how I express my fandom. Like my childhood fandom, money is still involved. Now, I have more money to buy those little Duran related items but there is not much of that around. I often have some money saved up for shows but…there is a lot of time in which there are no shows to go to. In many cases, that is just as well since I always have a long to do list. So, now, that lyric feels like the opposite. I have more money than playtime especially during the school year. When shows happen, I try my best to squeeze in a show or two depending on when and where they are. They are simply squeezed in to a super busy existence. As a kid I focused on money and the cost of what I wanted in terms of my Duranieness. Now, of course, money is important to get what I want but I also need the playtime and that does not always exist for me. What about the rest of you? Which is a bigger deal in terms of your fandom: money or playtime?